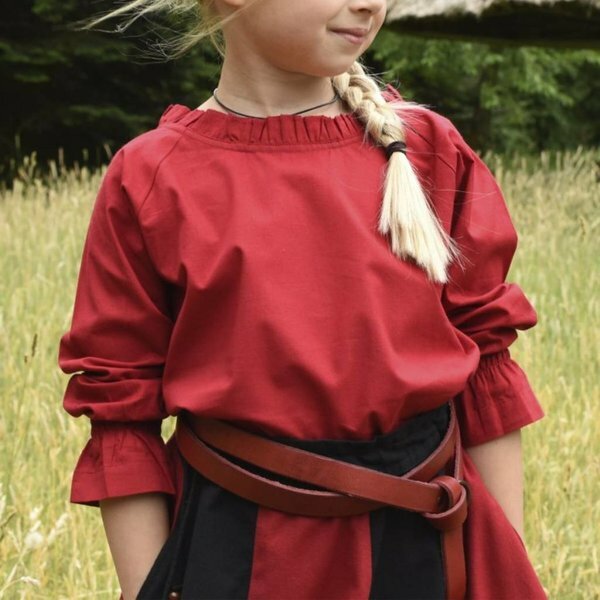 This beautiful blouse is perfect for girls who want to dress up for LARP, re-enactment or festivals as someone from the Middle Ages or the Renaissance. Blouses such as these were for example also worn during the time that Queen Elizabeth I reigned England. The blouse can also be used for pirates and other characters. It can be combined with different girls' skirts from our assortment. In this way you can adapt the blouse to any period or outfit. The blouse has a nice neckline with small ruffles. The sleeves have an elastic band with ruffles and they are flared at the bottom.